There are so many parents who desperately need something like the Parenting in Space Conference that is just around the corner, in Chicago (notice the subtle plug ... perhaps because I'm gonna' BE there?!?). Yet, they can barely get their shirt on straight every morning. If they aren't spending their extra cash on therapy, it's because they have drained their savings on repairing/replacing what their child has torn up on a bad day. Or they gave up family vacations for some respite care ... or an RTC placement. They need these things the most, but their time and resources keep them from actually going. Yet, BY going, they are changing themselves, thus changing their home, thus changing their children ... thus changing the very world we live in. My husband and I have spent most of our lives involved in organized church ministry. We have have come together with other people in our churches over and over again, to send people out to do really great things to help others. A high school Junior is willing to to go Kansas and rebuild a burned down church, they just don't have the money to get there and back. So, we happily support them. A couple is absolutely willing to take their vacation time to travel to a foreign country and dig irrigation ditches or plant trees to help with flooding, yet they don't have the resources to actually get there and back. So, their friends and family all chip in so the couple can go and do the really tough work. We happily support them. We encourage them to ask for assistance. Why on EARTH should you NOT write a letter to your friends and family and ask them all to give money to help you go to a conference occasionally? That's an easy answer. YOU SHOULD! You are willing to do the leg work - the hard work. You are willing to learn and grow and change so your child can learn and grow and change. You may be surrounded by people who are willing to help you do it WELL ... if only you would ask. I'm going to leave you with a sample letter idea. Promise me you'll think about it. First, I want to say thank you. Thank you for being the kind of friend I know I can turn to when I'm needing help and support. It's a gift, and I'm pretty sure I am at a place right now where I simply cannot put the time and energy into reciprocating. I'm writing you to ask for help. I don't like doing this, but I realize now that it's not just about me. It's about my children and my family. We need your help. However, for this to happen, the process also requires me (and/or my partner/spouse) to make significant changes. For our child to regain attachment we must create a very deliberate environment in our home and must parent in very specific ways to help replace those missing gaps. The research and experts who have worked with kids just like ours have shown the possibilities. Yet, it requires more from us, as parents, than we ever expected. It IS possible. It IS within our grasp, but it is exhausting. It requires consistency on every level, and because it is related to attachment, all of the hard work has to be done by us. We cannot just send them off to a therapist once a week. Everything about our home and the way we parent is therapy. You are amazing! Thank you for giving a voice and encouragement to what so very many people need right now, but can't find the words to muster themselves. Thank you for being the courage so many of us stand on. So jealous of all those who get to go to Parenting in Space and hug you in person! I would totally give money to someone if they sent me a letter like that. Great idea! 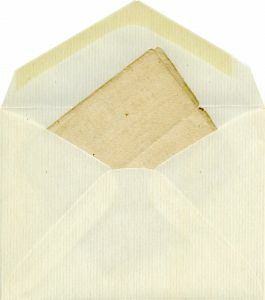 Part of me wants to steal a part of your letter and put it on my Facebook profile. You put into words what I've been trying to explain about "my babies" (my foster children) for months. So many have said that parenting our children and the struggles we face doing so are "common to all parents". What about starting a fund that those of us not parenting needs but are humbled and honored by those who do, could contribute to? I would totally donate to that to enable mothers and/or fathers to attend classes and retreats. Afterall, these kids are a part of society and lacking treatment now does not bode well for any of our futures. Thank-you. Honestly? It's going to be hard, very hard for me to do something like this. But I will. I've also started putting all my loose change into a piggy bank. My prayer is that by next year, it'll be enough. :) I NEED to be there next year. NEED it. Thank you Christine! I don't think most people can understand how isolating raising a child with a trauma history can be. All of us need the connection of someone who actually "gets us". I know how hard it is for most of us to get away to a conference so I wanted to share a link to an online moms conference I attended last year.I can't describe how healing this was for me and I wish the same for every mom reading this.